The Triangle is uniquely positioned to embrace a new model for community design, capitalizing on a rich network of design initiatives and building on its legacy as a center for innovation. Design Community: The Potential for Community Design in the Triangle, the result of research conducted throughout the fall of 2014 and spring of 2015, extends the conversation about the potential of community design to the Triangle. 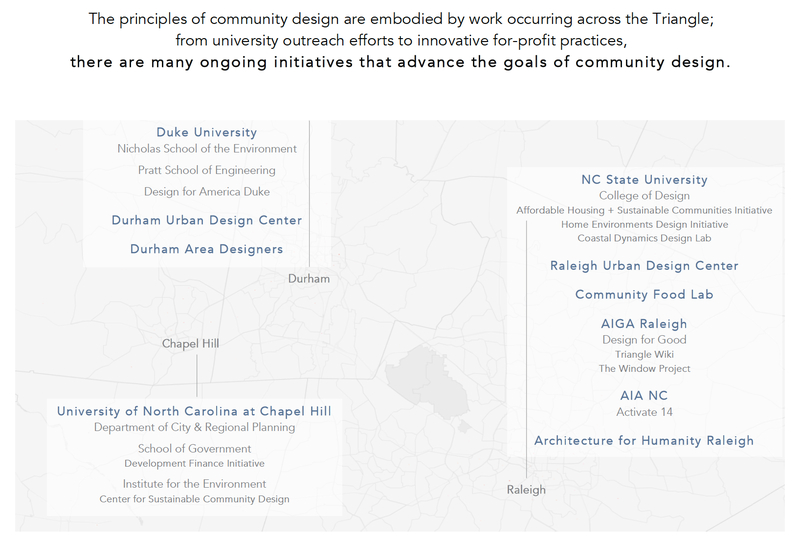 Through interviews with community design practitioners, case studies of centers throughout the country, discussions with possible stakeholders, and surveys of potential collaborators and clients, this report explores the context of the community design movement and the potential for its impactful implementation in the Triangle. Engage. Connect designers and clients, and unite efforts across disciplines and geographies. Extend. Allow for long-term impact by providing stability, continuity, and support. Educate. Promote the value of community design and strengthen its practitioners. While the context of the community design movement has informed these recommendations, this proposal is unique to the Triangle, building on the region’s assets and looking to its future. The Triangle is uniquely positioned to embrace a new model for community design, capitalizing on a rich network of design initiatives and building on its legacy as a center for innovation. 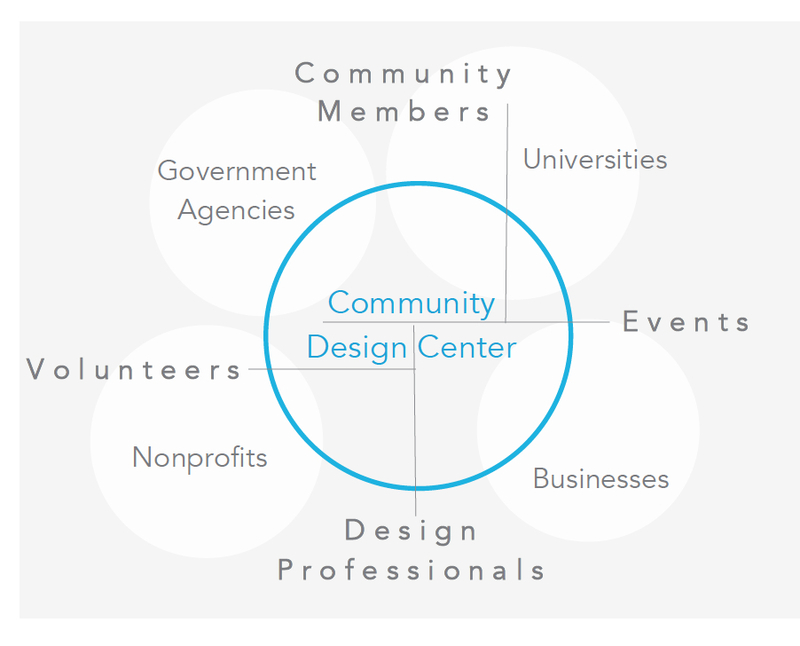 In many ways, a community design center represents the opportunity to not only enact meaningful change locally but to also continue to move the community design field toward its next evolution, one that embraces the integral role of design in addressing 21st century challenges. Read the entire report here: http://issuu.com/amybullington/docs/design_community. Amy Bullington is a registered architect and 2015 graduate of the Master’s of City & Regional Planning program at UNC-Chapel Hill. As part of her undergraduate work she participated in Auburn University’s Rural Studio, where she teamed with another student to design and build Christine’s House. She has lived in Raleigh since 2006 and recently joined the team at Clearscapes, a full-service design firm located in the Warehouse District. Amy received the AICP Outstanding Student Award upon graduation.